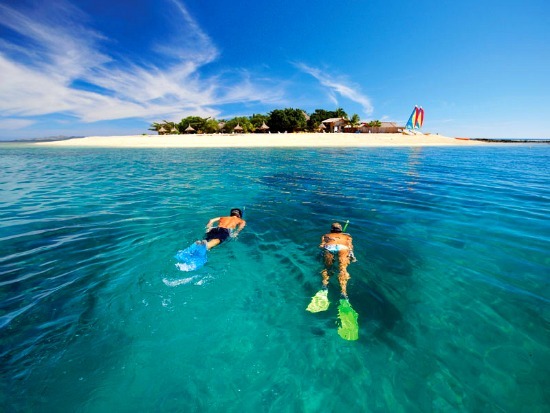 Awesome Adventures Fiji - Your choice for stunning budget island getaways! Do you want stunning cheap island getaways? 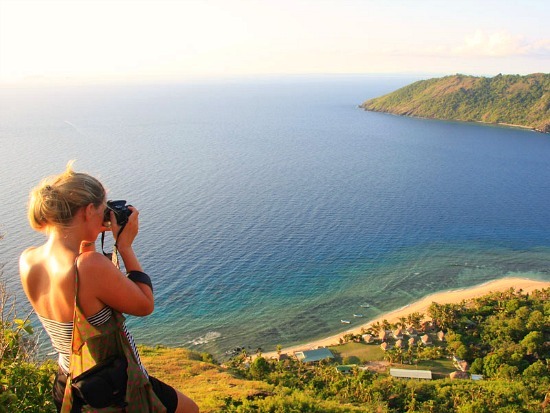 Discover Awesome Adventures Fiji, Fiji's premiere budget specialists offering great packages and flexible island hopping adventures! 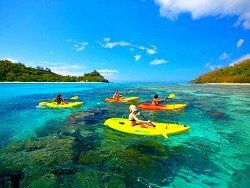 Awesome Adventures Fiji is a budget getaway specialist offering flexible packages and transport for the Yasawa and Mamanuca island groups. The Yasawa Islands and Mamanuca Islands have a fair chunk of Fiji's most stunningly beautiful islands. They can be as small as a 3-minute walk around the island, with the resort taking up the whole island. Also, they contain most of Fiji's 'island resorts' often only 1 or 2 resorts per island. Exotic island getaways don't get any better than this! Meals are often included especially for 1 coconut properties, and rarely, if ever, for 3 coconut properties. This package has a ‘Full Monty’ option available for people travelling on 1 or 2 coconut packages. This includes the absolute best activities that most people choose to do while in the Yasawas. The ‘Full Monty’ option follows the same itinerary but at each location, the stated activities are included. If you’re into activities such as diving, sailing, Fijian cooking, snorkelling, hiking and you are staying at 1 or 2 coconut properties, choose the Full Monty version of the package. This means, all your activities are already planned and paid for so there are no hassles when you get to Fiji! It takes out the hassle of you organising overnight accommodation in Nadi, meals, and transfers when you arrive and depart Fiji. Essentially, it fills the gap between arriving/departing at the airport to embarking/disembarking the ferry at Denarau Marina. This means, your whole getaway is booked and organised! To check out these two packages, visit their Awesome Adventure Fiji - Welcome & Departure Pack section. Of course, staying at one island resort for your trip (like most who come to Fiji do!) is also available, if backpacking or being on the move isn't your style. The Mamanucas and Yasawas accommodation options available in the packages, of which there are over 20!, are available for you to choose from. If you have a special place, or perhaps a recommendation from a friend, then certainly go there. I know I have my faves in the Yasawas! Accommodation here operates, same as above, on a 'Coconut Rating System' where it offers different levels of quality to suit varying budgets. Check out all the these gorgeous accommodation options here. The Bula Pass is a pass on the Awesome Adventures Fiji's vessel 'Yasawa Flyer' for travelling through the Yasawa and Mamanuca Islands. It stops at almost 20 islands servicing over 30 resorts! You need to have pre-booked accommodation for the island(s) on it's itinerary you wish to disembark at. For the complete lowdown on the Bula Pass including timetable, map and fares, visit the Yasawa Flyer section. This is the ultimate in island hopping adventures! Imagine picking and choosing which exotic island and resorts to stay on/at, and for how long. It should be one of the 100 things to do before you die! 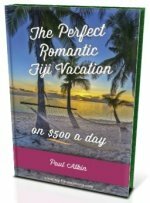 For all the information about this, and trust me you want to, it's all laid out in our informative Fiji Island Hopping section. 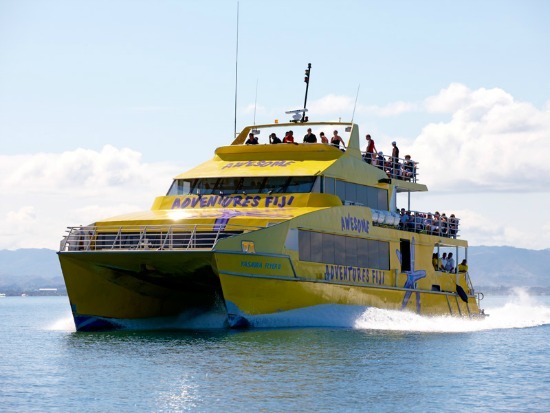 To find out more including timetable, fares, and a map, visit the Yasawa Flyer section.